At the risk of going the early crow, I have had some fair dinkum amazing days on the punt on Hyland Race Colours Underwood Stakes day. My run probably began with a little mare called Rewaaya. I think I shouted my then girlfriend’s parents (now my in-laws) Chinese after the mare on the 2006 Rupert Clarke. Nothing turns opinions faster than a good lemon chicken and I was Golden Boy from that day forth. Then there was Sunburnt Land into Weekend Hussler into Orange County in 2008 when a mate was reduced to tears as the latter hit the line. He loved Orange County so much that he decided to go and shake trainer Brian Mayfield-Smith’s hand after the race, Brian snubbed him and broke his heart. Then there was 2010 when I nailed the Big 6 thanks in part to So You Think and Response landing their respective legs as one-out picks. Unfortunately, after that self indulgent trip down memory lane we are pretty much guaranteed to get nowhere near it on Sunday. So if you thought you’d be getting a decent tip from this blog I apologise in advance. But for those of you that still have faith that this plucky silver fox still can turn on the magic, let’s have a look at this Sunday’s card. I think I’ll open the shoulders early with South Aussie raider STEEL FROST (R1. No. 5). Trainer Will Clarken is a genius with a tried horse and has this ex-NSW bushwhacker racing like Phar Lap – I’m jumping on the bandwagon. We’re getting $2 to find out if the best filly in Australia CATCHY (R5 No. 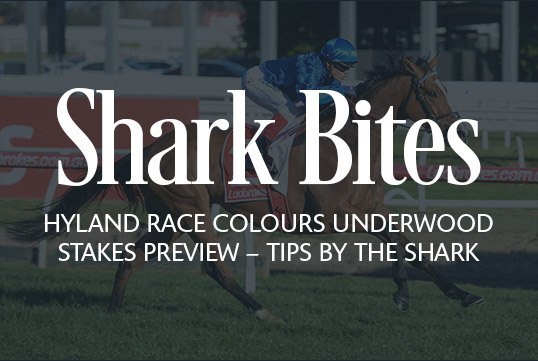 1) can run 1400m…I’m happy to take that bet despite the resistance likely to come from the so far unbeaten Shoals. It’s a similar story with HARTNELL (R7 No. 1) in the G1 Underwood Stakes. He’s arguably the second best horse in Australia and we’re getting $1.90 about him in a race where Kerrin McEvoy can control the speed and dominate from the front. Surely none of these Cups and Plate bound rivals will sacrifice themselves in the first 400m to bring that plan unstuck? TOSEN STARDOM (R8 No. 4) comes back from WFA racing in a race where Darren Weir is likely to have him peaking third-up. $6 is a good price for a horse twice placed at G1 level over the Caulfield 1400m. LAND OF PLENTY (No. 16) is the best roughie in the race. If you’ve had a decent day of it come the last, save a few shekels for my girl OCEAN EMBERS (R9 No. 10) and hope she runs to her best Caulfield form – I’ll go absolutely nuts if she wins, follow me to the bar!